Manteo Rotary Club's Annual Inshore Slam Fishing Tournament on the Outer Banks of NC funds local educational programs and college scholarships to outstanding Dare County students. Come join us to celebrate our 21st annual tournament. 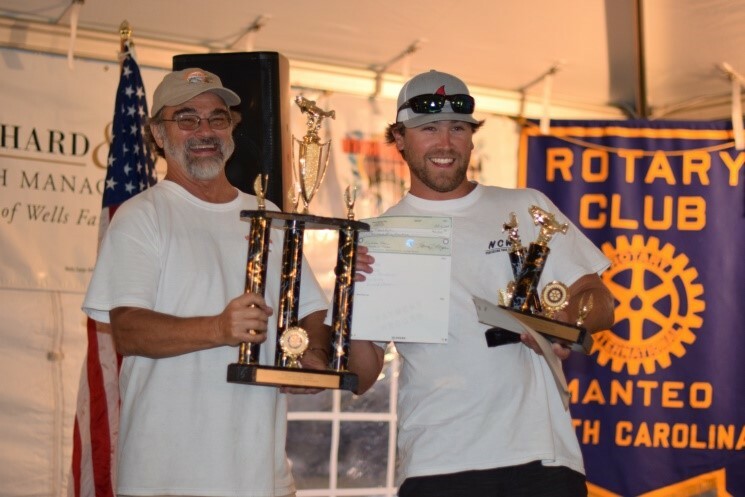 The Manteo Rotary Club held the “Rockfish Rodeo” for 16 years. Your support has allowed us to provide over $300,000 in scholarships to deserving young people in Dare County, plus support many other community needs, such as Dare Co. Arts Council, Mano al Humano, Roanoke Island Food Pantry, etc. 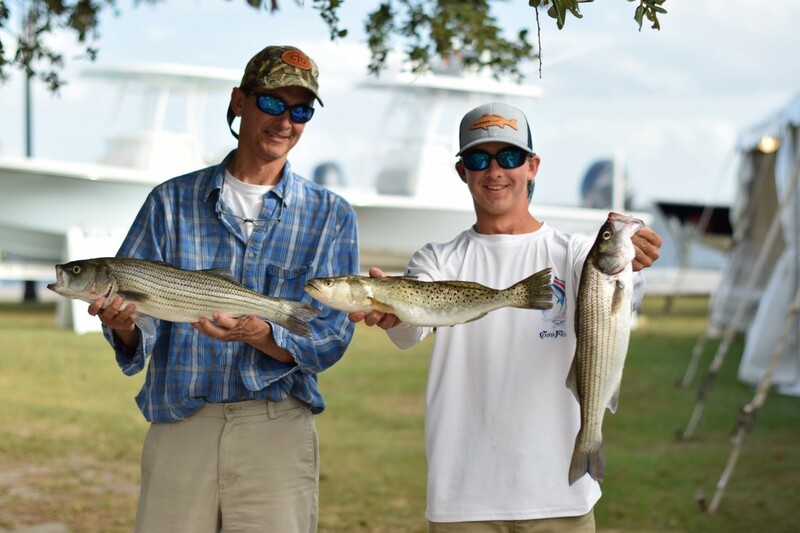 In 2014, due to the decline in the striper populations, and after much consideration, we decided to reformat our tournament.It is now the “INSHORE SLAM”.Participants now compete for the largest fish in four categories; stripers, flounder, puppy drum, and speckle trout. There is also a single “Grand Slam” award for the individual who weighs in fish from at least three of the four categories, with the highest total weight. The tournament is held the first weekend in October, in conjunction with Manteo’s First Friday, and with the expectation of more fish and warmer weather. Most locals will agree that early October is one of their favorite times on the Outer Banks. The tournament is held on the Manteo waterfront, with docking available, at the Maritime Museum. 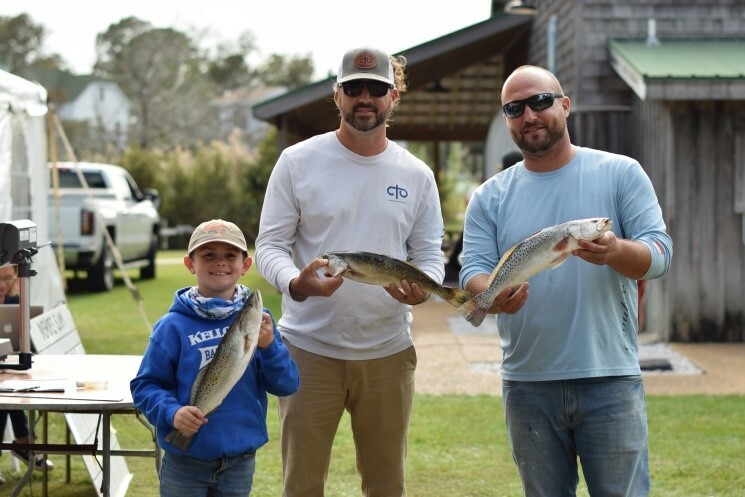 Our tournament is a family event.We encourage everyone to share the fun and excitement of the tournament with your spouse, friends, family, and especially make it a point to “take a kid fishing”.Prizes and trophies will be awarded in adult and youth divisions. As is our tradition, we will also hold our famous silent auction with great prizes and gifts available for all tastes and budgets.Our Saturday night awards banquet will be fun for all with live music and a pig pickin by Chef Brent Tomlinson & Crew.Remember, it’s about having fun and supporting a great cause. Come join us October 5-6, 2018 at the Manteo Waterfront and help us celebrate 21yrs of giving to our community. Come join us for great fishing, great food and great family fun for all!